The casing of this cell phone is made of stainless steel.This cellphone has 62,144 thousand colour TFT display, sapphire coated glass (which is scratch-resistant) , 2 megapixel camera, 120 MB memory, html browsing,video streaming services,Bluetooth, EDGE and E-mail features.It measures 107 x 45 x 15.0-16.5 mm and weighs 134 grams.It also has ball bearings for sliding purpose. 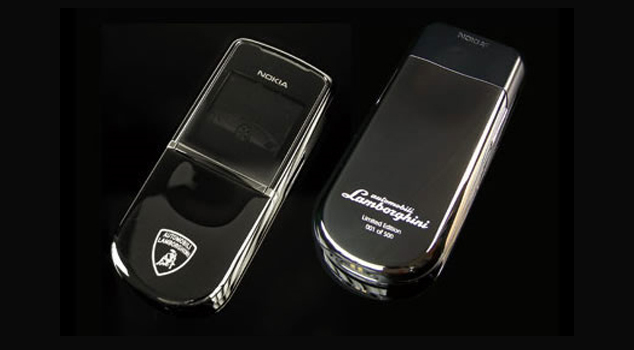 Vertu release 2 editions of this type and the cheaper one sold for $ 115,000. Vertu only released 8 of this $310k Vertu cobra to market. 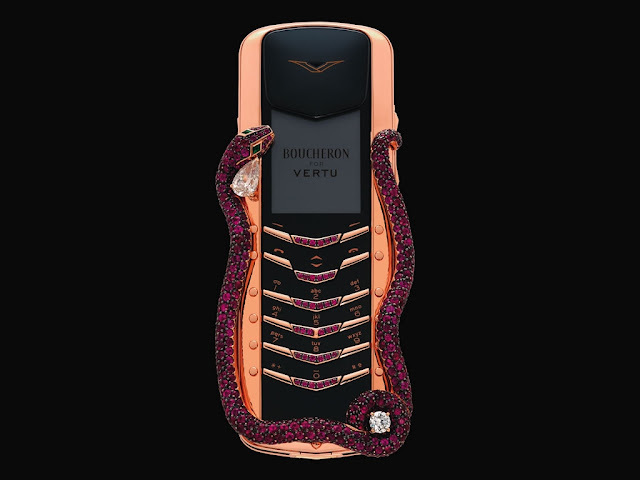 8 of these phone are completed with a Signature cobra that was designed by French Boucheron and this accessory is made of two diamonds, 439 rubies and two emeralds. This cell phone is Studded with 1,200 diamonds and its keypad is designed with 18 carat gold.This cell phone measures 85.5 x 44 x 24 mm and weighs 100 grams. 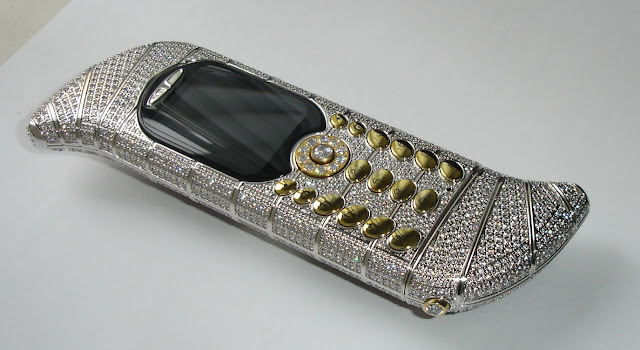 This cell phone is named as Princess because it has princess shaped diamond cut that studded all over the casing.It has superb arrangement of 138 princess cut and 180 brilliant cut diamonds with a weight of 16.50 – 17.75 carats and 18 Carats of white gold.It weighs 135 grams. This cell phone is made of 24K gold and features 0.5 Mega pixel SVGA camera and a 2, 62,000 colors, TFT (208 x 208) display.EDGE, Bluetooth, Infrared, Java, MMS, SMS, USB, WAP are the connectivity options in this cell phone.It measures 107 x 45 x 17.5 mm and weighs 138 grams. 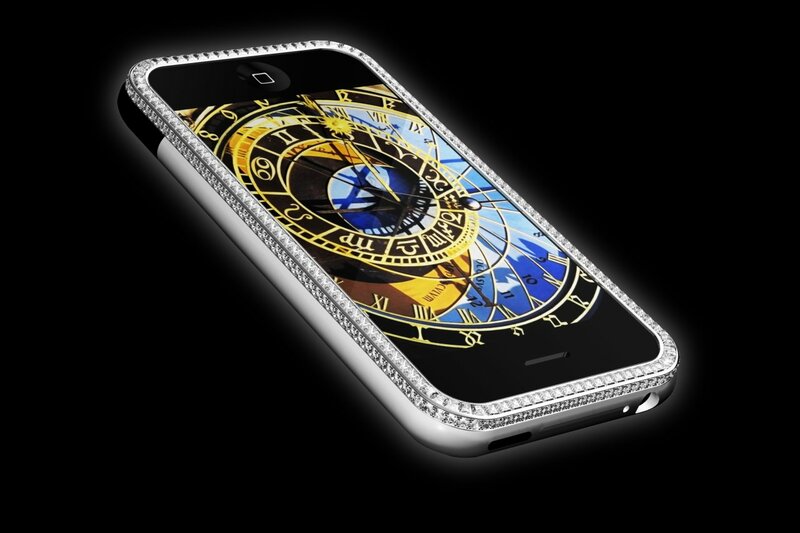 Only Millionaires will have an access to order this phone. 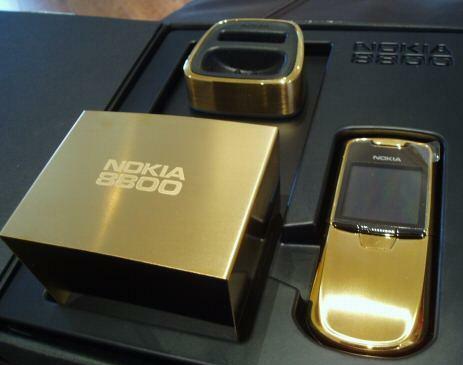 This phone is made by GoldVish Luxury Communications and they only made 3 of these phone for the world. 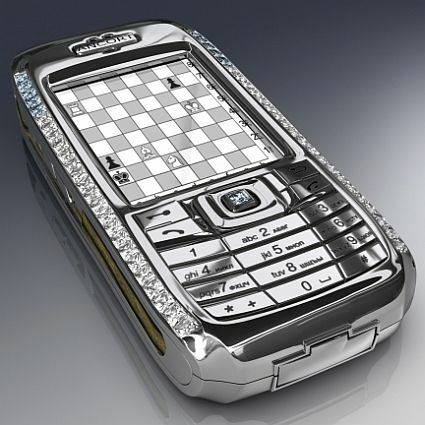 It is cased with 18k pure and solid white gold plus 20 carats of VVS1 diamonds. 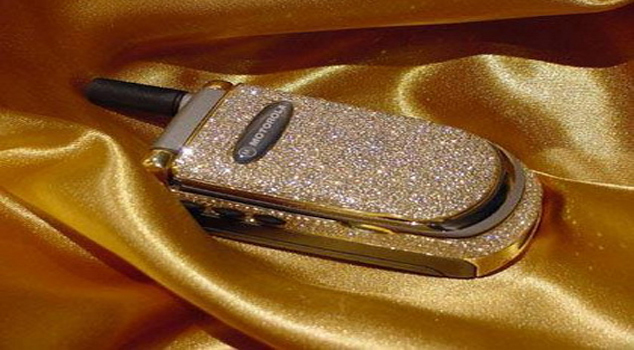 It broke Guinness Book of World Records as the world`s most exclusive and expensive mobile phone in the world. The price is one million Euros or approximately US$1.3 million and it is only available with a special order. 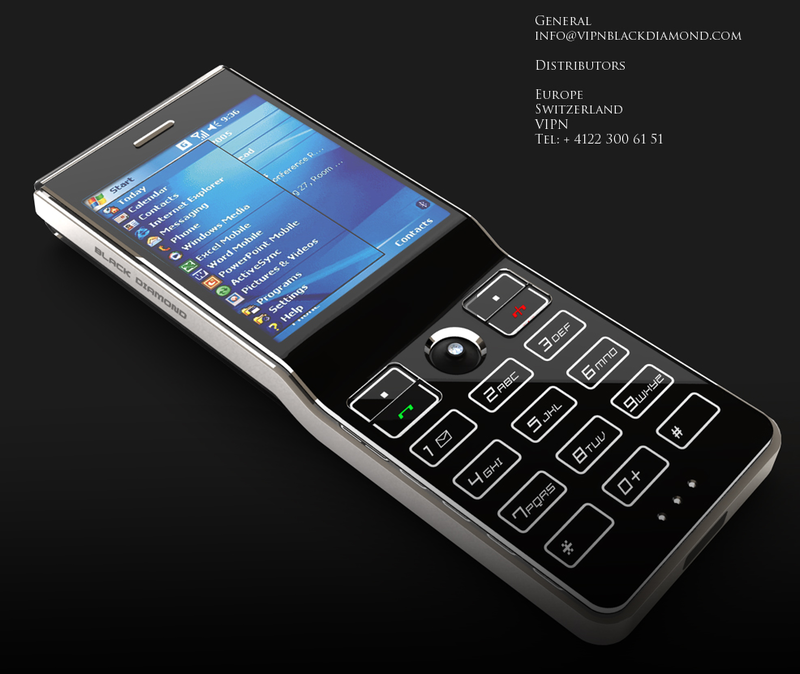 The body of this cell phone is made from titan and polycarbonate and spots a cutting edge mirror that finish cladding, adorned with diamonds.The smartphone is powered by Intel Xcale PXA255 400MHz processor running on Windows Mobile 5.0 operating system and features 4 mega pixel with 256 TFT screen.The cellphone supports Internet telephoning via W-LAN and it is possible to access Excel, Word and PowerPoint. It was produced by Peter Aloisson from Moscow JSC Ancort. It becomes 4th most expensive mobile phone because this phone is covered with 50 diamonds on the edges and that is including 8 rare diamonds ever founded on the earth. 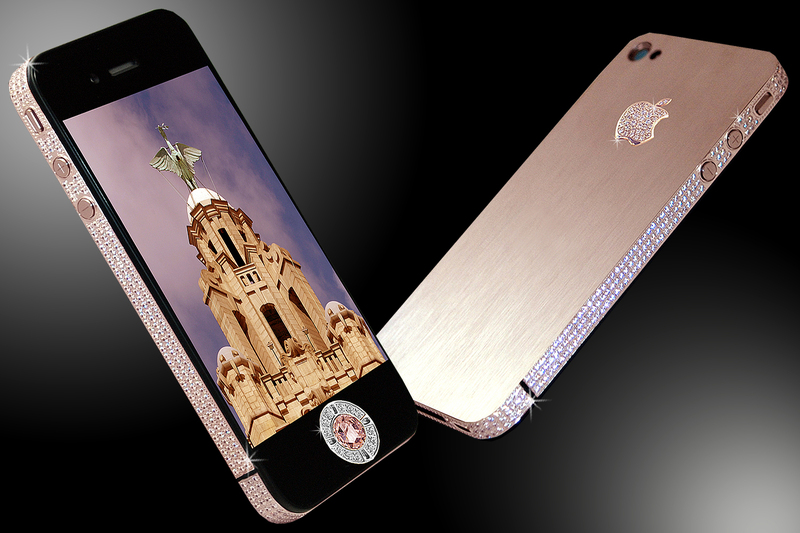 The navigation button and Ancort logo are manufactured with 18k rose gold. It is featured with Windows CE operating system, large and high resolution TFT displays and and 256-bit cryptographic algorithm. It supports Java, media player, Wap, SMS, MMS and many more. 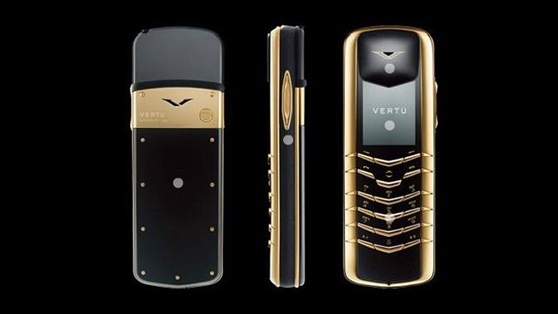 Vertu Diamond has ceramic shell plated with 18 carat gold half tiled with Swarowsky crystals.This phone measures 122x42x15.5 mm and weighs 175 grams with battery.The phone supports 2G network for GSM 900/ 1800/ 1900.The main drawback of this phone is the absence of a camera.This phone is available in ten colors including yellow, blue, red, black and brown .